Diane and Geoff from the very lovely ffotogaleri y gofeb - the new independent photography gallery in Machynlleth - have a full weekend of talks and related events lined up Saturday 14 & Sunday 15 April '18 to coincide with the current exhibition showing in the gallery. 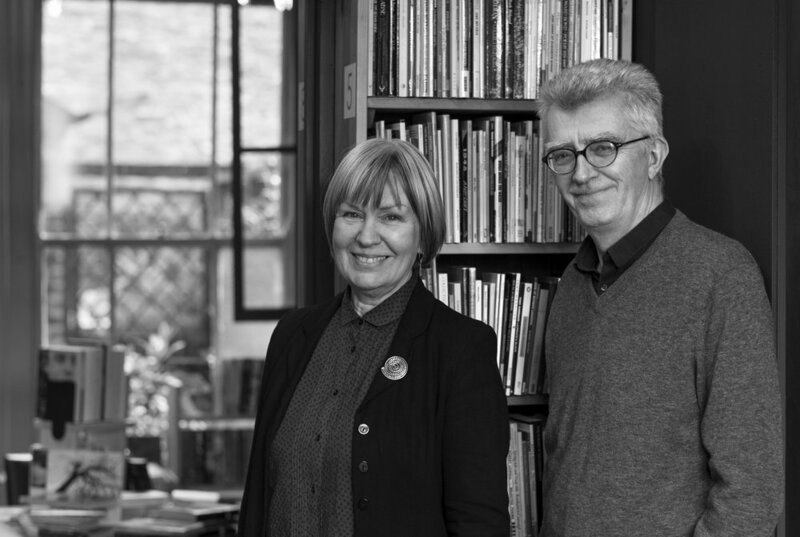 We've had the pleasure of popping into the gallery since it opened its doors in late 2017 and can also recommend a visit to the 'secret' (and very tempting) expertly-curated photography book section in Diane and Geoff's Pen'rallt Gallery Bookshop just two doors away. Exhibiting photographers, Peter Cattrell and Aled Rhys Hughes use the current exhibition of their work in the gallery to trace their work back through earlier projects; from their first forays into photography on to the substantial bodies of work they are best known for. Followed by a Q & A. Take a local walk, talk and photograph with Peter Cattrell – Peter has explored his connections to place through his photography for decades. With work in many major public photography collections, and as a fine printer and teacher, Peter has a wealth of knowledge and years of looking photographically, to share. Join him for a concentrated perambulation taking us from Machynlleth, by foot, into the nearby landscape for a stimulating morning. Starting with coffee at ffotogaleri y gofeb from 10.30am.